"We're excited to empower pharmacists in CPESN Georgia with the tools to make a measurable difference in the health of their community through the Diabetes Prevention Program and the STRAND intervention platform," said David Pope, PharmD, CDE, Chief of Innovation and Co-Founder at STRAND. The Georgia Community Pharmacy Enhanced Service Network (Georgia CPESN®), a clinically integrated network of independent pharmacies committed to high-quality patient care, has united with the STRAND platform to help combat the diabetes epidemic in Georgia through the Center for Disease Control’s Diabetes Prevention Program, or DPP. Through the partnership, Georgia CPESN pharmacies will be able to become nationally recognized as DPP providers by the Center for Disease Control (CDC), ultimately being able to serve rural, suburban, and urban communities in Georgia. The number of patients who will develop diabetes in their lifetime is shocking. One in three Americans is at risk of developing the disease. According to the American Diabetes Association, approximately 2.6 million lives, or 37% of the population in Georgia, are considered to be living with prediabetes. This number represents a considerable cost driver to the healthcare system in Georgia. Nearly $10 billion of healthcare spend a year in Georgia is spent on diabetes and pre-diabetes related care. Through this partnership, STRAND and the Georgia CPESN have created an easy-to-use pathway for pharmacists to participate in the DPP, including access to patient education and intervention support –built directly into the platform– and the ability to bill payers for these services all within the pharmacist’s workflow. This program will allow community pharmacists to make a clinical impact on patients all across the state of Georgia, while also decreasing the healthcare spend. “We are thrilled to work with STRAND on a pathway for pharmacists to engage in the Diabetes Prevention Program,” said Charlie Barnes III, RPh, Lead Luminary, Georgia CPESN and CEO of Barnes Healthcare. “The independent community pharmacist is well positioned to help with the prevention of chronic diseases, such as diabetes. They are an easily accessible health care provider and have a presence in the communities who have a high percentage of patients living with chronic disease. The DPP is a great way for pharmacists to help in the prevention of chronic diseases." Insurers, businesses, or other interested parties are encouraged to engage the Georgia CPESN for its Diabetes Prevention Program services by reaching out to Georgia CPESN directly. The goal of the Georgia CPESN is to improve quality of care and patient outcomes related to medication use, enhance patients’ overall health trajectory and reduce total cost of care for people living in the state of Georgia. Key to the CPESN approach is an active integration of community pharmacist activity with the larger care team, including providers, healthcare systems, and other key stakeholders. For more information, contact Charlie Barnes at charlie@barneshc.com or call 229.563.8050. Co-founded by a community pharmacist and a technology expert in 2008, STRAND is the U.S. market leader in helping pharmacists launch clinical services within their community. They support community pharmacists across the country in engaging patients with chronic disease, such as diabetes, through STRAND, a wide-reaching intervention, documentation, and education platform capable of developing the new Pharmacist eCare plan. Their mission is to transform the community pharmacy marketplace by inspiring and empowering pharmacists to engage clinical pharmacy practice to improve both the health of their business and the health of their patients. 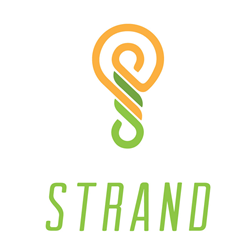 For more information, please visit: http://www.strandrx.com.